The list represents the top 50 movers and shakers in and around UK higher education. Who has the most influence over the sector? Who will be instrumental in shaping its future? Now for the third year, the HE Power List brings you the top 50 names that set the agenda – often behind the scenes, sometimes in full view, inside and outside of universities and across the world of politics and policy. Public policy is Michael Barber’s world. We just live in it. 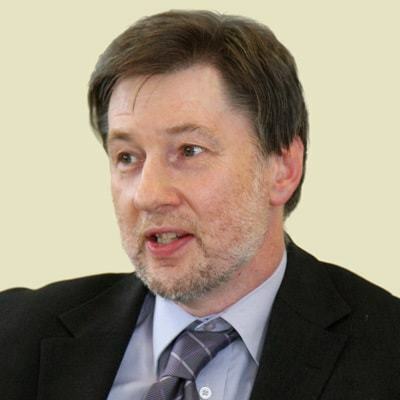 Since his 90’s role in the development of literacy and numeracy policy under David Blunkett, Barber’s espousal of “deliverology” has seen the executive branch of government held accountable to targets and plans for the implementation of the desires of politicians. The model of his Prime Minister’s Delivery Unit has been exported globally, and Barber’s ideas now shape and often define the parameters of policy debate around the world. Short of brief spells in academia at Keele and the Institute of Education and the damp squib that was 2013’s “An Avalanche is Coming” the ‘Mad Professor’ has had little interaction with higher education policy, focusing on compulsory level education reform in the UK, Pakistan, Africa and the US. But his espousal of “low cost” private providers in place of an under-resourced state sector under projects supported by Pearson’s “Affordable Education Fund” puts him very much in concordance with Jo Johnson’s “Byron Burger” ideas on shaking up the university sector, and his legendary fondness for metrics make him a kindred spirit for the further development of TEF. After a career intensely focused on implementation he now holds a far more strategic role as Chair of the Office for Students. Early indications suggest a very hands-on involvement in the mechanisms of regulation – unusual for a Chair – and a well-read grasp of contemporary policy issues. In other words, for the first time, the Wonkhe Power List is topped by a bona fide wonk. 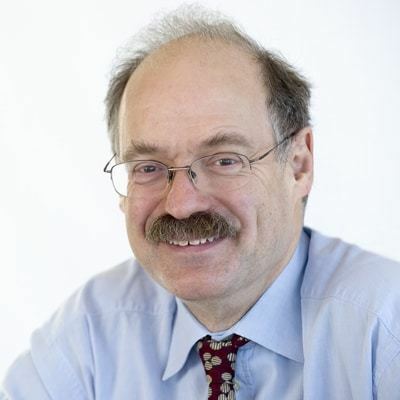 Mark Walport was the government’s Chief Scientific Advisor, former head of the Wellcome Trust and was appointed to the post of Chief Executive of higher education’s £6bn research funding agency in February 2017. The appointment wasn’t the cause of much surprise, Walport has been a big hitter on the scene for many years. However it wasn’t without controversy: his notoriously charmless manner has alienated many through the years. And having partly instigated the Nurse review, which recommended the creation of UKRI, eyebrows were certainly raised about the cosiness of it all. But if anything, that was just another data point demonstrating his effectiveness as an operator. UKRI, corralling the funding councils, Innovate UK and Research England will be responsible for both sides of the ‘dual funding’ streams, providing immense power for the organisation to shape the country’s research architecture and as his new organisation comes blinking in to the sunlight, Walport will need to immediately use all the influence at his disposal to ensure that UK research emerges from the Brexit ashes intact. Wonkhe predicted her UUK presidency in last year’s Power List and Janet Beer’s rise to prominence in the sector only continues by the month. 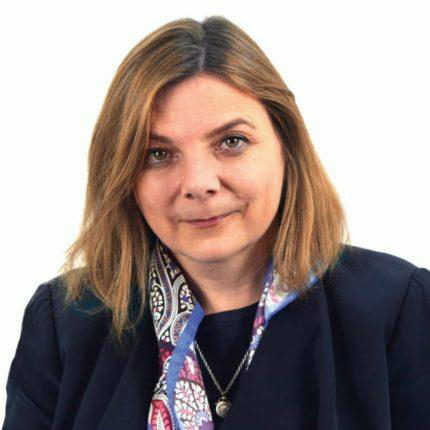 She comes to the role via a history of involvement in national initiatives to improve university teaching, with the National Student Survey steering group and the Board of the Higher Education Academy, to name just a few notable positions. This will serve her well in the critical role of UUK President which forms a key – sometimes semi-formal – link between the sector and a government with more than a few ideas of its own about teaching at university. Her recent remarks at the UUK annual conference defending the sector against its recent critics were well received. Advancing a platform that demonstrates sensitivity to public opinion and a concern for graduate debt levels could be a winning combination, and we have arguably not seen enough of that this summer. As the new academic year gets under way, other vice chancellors will be looking to Beer’s leadership to steer the sector ship in most uncertain waters. 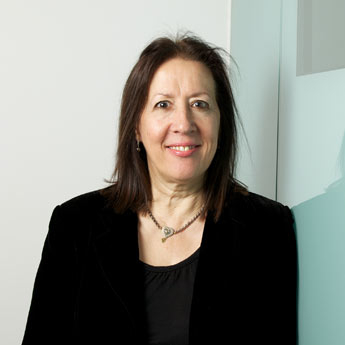 After rumours of a ministerial desire for leadership from outside the sector, the appointment of Universities UK Chief Executive Nicola Dandridge as head of the Office for Students was met with relief among traditional university vice chancellors, though those outside of the public system were perhaps less vocal in their congratulations. The sector’s chief lobbyist will now be its chief regulator in perhaps the ultimate ‘poacher turned gamekeeper’ move. 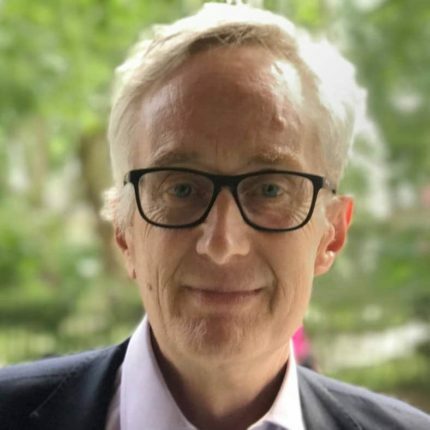 With a very active and influential chair like Michael Barber making the strategic running, the role of CEO is likely to be focused more on implementation and delivery. The creation of a new regulator on top of an old funding body will require a great deal of work, ranging from implementing the many requirements of HERA to implementing an unpopular new subscription model, the continued development of the Teaching Excellence Framework and negotiating the transfer of existing HEFCE and OFFA staff to the new body. 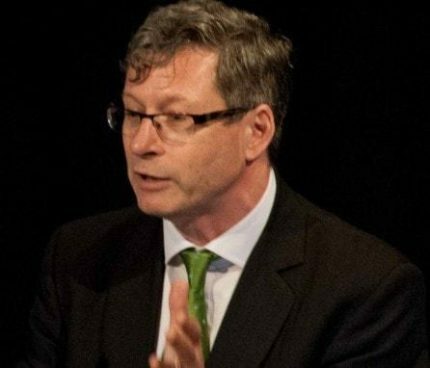 Like OfS deputy chair Martin Coleman, Dandridge has a legal background – his in competition law, hers in trade union and equalities law. And it is the legal scaffolding of the new regulatory environment – for competition and equality – that will likely keep the new OfS Chief Executive busy once the regulator is brought into being early next year. We’ve had a number of representatives of the EU feature high up the Power List: Jean-Claude Juncker in 2015 and Carlos Moedas in 2016. 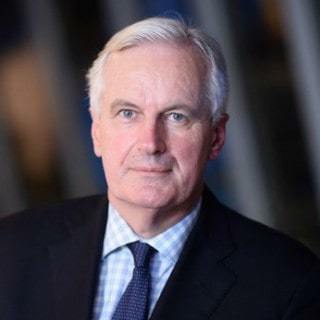 Michel Barnier is our judges’ choice this year, as the UK enters the critical period of the Brexit negotiations. Barnier’s presence is as significant as the absence of any of the UK’s negotiating team; to the extent that the UK has a coherent negotiating position, higher education does not feature very high up the priorities list. Hence UK HE’s fate in the negotiations could well rest on the goodwill of Barnier and his bosses in the Commission and EU27. At the time of writing the sector is none-the-wiser on how hopes for retaining movement of staff and students, participating in European research programmes, and maintaining coregulation of key research areas such as nuclear and pharmaceuticals might pan out. The UK is on the backfoot, and it could be up to Barnier and his colleagues to find a settlement that may inadvertently help or harm British universities. The ‘bonfire of politicians’ from last year’s Power List means that Muscatelli makes a dramatic jump this year to be our second highest-placed vice chancellor. 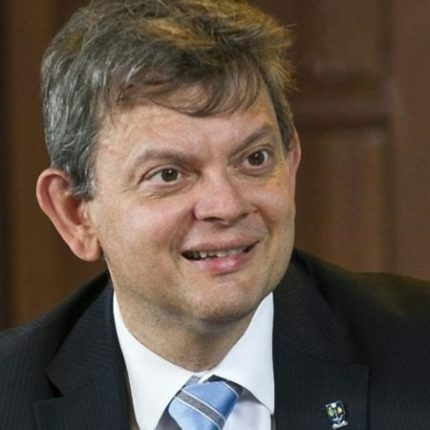 Muscatelli’s position owes itself to his influence in Scotland as Principal of the University of Glasgow and chair of Nicola Sturgeon’s advisory group on Brexit. 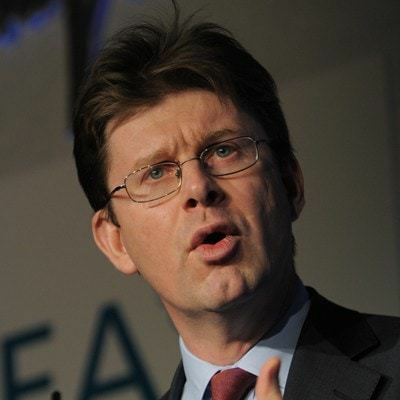 But he has now also taken up an additional UK-wide role as chair of the Russell Group, meaning his influence will now extend down to Westminster as head lobbyist for the most prestigious and research intensive universities in the land. 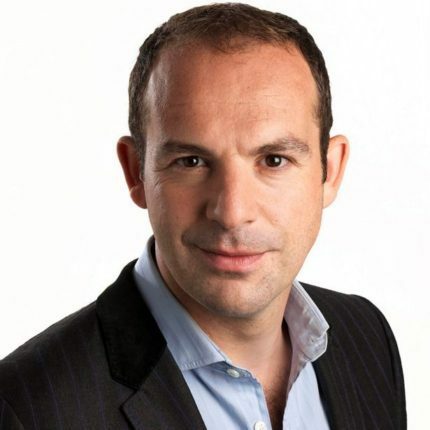 Muscatelli is politically savvy, with a professional background as an economist he was once a special adviser on monetary policy to the House of Commons Treasury Select Committee. In Scotland, Glasgow is said to hold more influence with the SNP government, educating a larger number and proportion of Scottish students than its ancient counterparts. The Scottish sector has strongly aligned itself with the SNP on matters European since the referendum, but still remains firmly at the beck and call of government due to free tuition and recent reforms to universities’ governance. Muscatelli is a vital go-between the government and Scottish universities when the lines between ministerial wishes and institutional autonomy become blurry. It may not be a surprise to see the Minister of State for Universities, Science, Research and Innovation return to the Power List. But it was widely anticipated that the Europhile MP for Orpington would not survive a ministerial reshuffle following the General Election. However rumours of a ‘Jexit’ proved exaggerated, and following the unexpectedly poor election result for the Conservatives, Johnson was returned to the post which straddles BEIS and DfE. With the Higher Education and Research Act – memorable for Johnson looking on earnestly through the Lords debates – safely passed before the election, the minister’s work moves to the implementation phase. 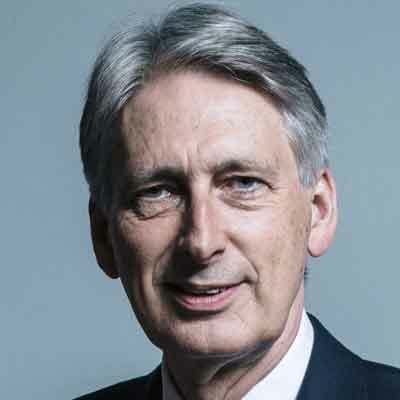 However, following pressure over the summer from the popular press and influential commentators (see: elsewhere on the Power List), it looks as if his own Chancellor is set to take an axe to the system that he has been busy defending in recent months. How well he negotiates his position inside government, particularly with the Treasury, in the coming weeks and months will prove critical for his future, and possibly the future shape of higher education funding. The long-time Director (Research, Education and Knowledge Exchange) at HEFCE will now be taking on the critical role of Executive Chair at Research England within UKRI. 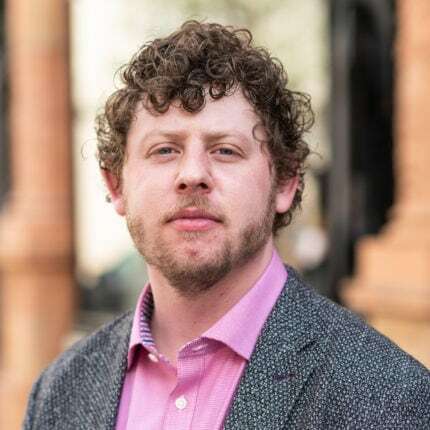 Sweeney is the master of all things QR funding and REF, and has faced the not-insubstantial task this past year of turning the reforms recommended in the Stern Review into a plan of action for REF 2021. 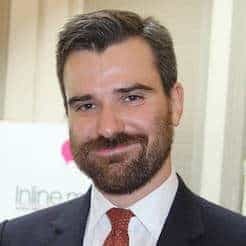 Appointed as the new Chief Executive of Universities UK during the summer after previous spells as deputy and caretaker, it is difficult not to see Alistair Jarvis as the proverbial safe pair of hands during a period of serious turbulence. 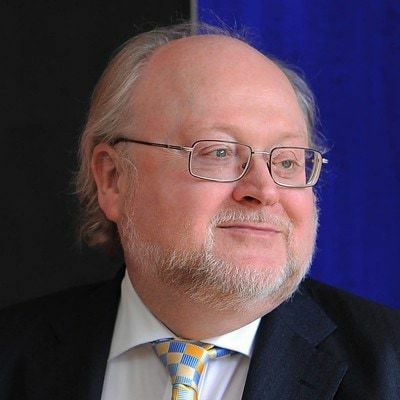 But his meteoric rise through communications and external relations roles in the sector has prepared him well to lead UUK at a time when sector comms has never been more important – or more challenged. 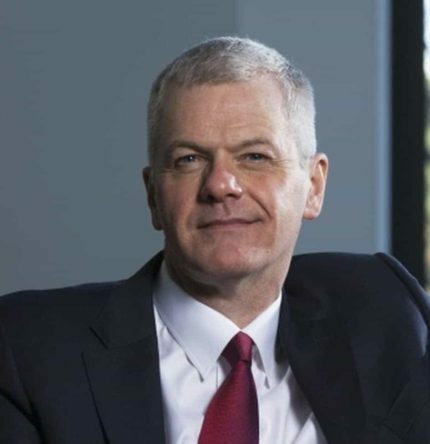 Close to every key vice chancellor, well liked and respected in government, the new CEO is already taking a more publicly-facing role than his predecessor. 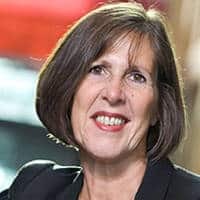 His new boss is UUK President Janet Beer and between the two of them, there’s very little that will happen in higher education over the next two years that they will not play a central role in shaping. What a difference a year makes. One year ago, the Labour leader looked beleaguered, incompetent, and far from power, despite surviving a leadership challenge. Labour Party dreams of free university tuition looked like a fantasy. 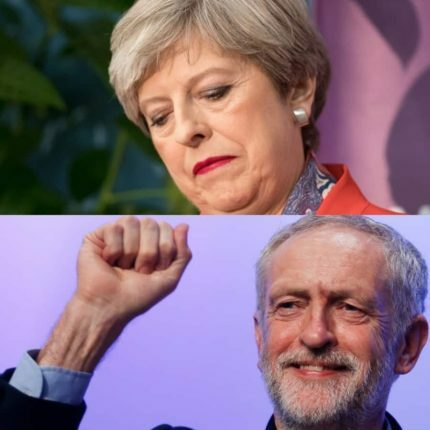 But Jeremy Corbyn’s General Election campaign, built on the back of the disaffected young, has kickstarted a national conversation on the nature and fairness of university funding. Corbyn himself continues to be wildly popular with students and university staff: 66% of the 18-19 age group voted Labour according to YouGov, a poll in THE suggested that 54% of HE staff voted Labour. The Prime Minister, by contrast, was top of our 2016 Power List, riding high on her personal popularity, her determination to centralise government decision-making, and a continued unwillingness to bend to pressure from universities (and their allies) over international students. Now, Theresa May is held hostage by the goodwill of her backbenchers, cabinet colleagues (and dare we say it, the lack of a clear alternative leader). Power has firmly drifted back to ministers and their departments. Only the Prime Minister’s personal stubbornness has been holding back some easing off on international students policy. Now, May looks in no position to keep resisting should there be further pressure to liberalise rules on Tier 4 visas. Perhaps a little cheekily, our judges have chosen to place May and Corbyn jointly at number 10 for 2017. One has office, but little power. The other may still be in opposition, but already has a huge influence over the future of universities. 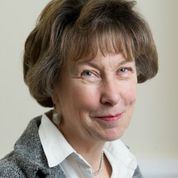 Few are as influential or as respected in education policy circles as Baroness Alison Wolf, whose influence and research stretches across the tertiary education landscape from HE to FE and skills. Wolf’s ideas have become only more influential in the past year, and were evidently taken to heart by Theresa May’s advisors in the run up to the General Election. Wolf has been a long-term sceptic of continued university expansion, and her most recent paper for the Education Policy Institute advocates expanding sub-degree higher education at the expense of bachelor’s degrees, and also rebalancing funding towards the colleges sector. Wolf was also an active legislator during the Higher Education and Research Act’s passage through the House of Lords. She made a point of defending the sector’s autonomy, criticising TEF, and calling for regulation of new private providers. She was a critically important figure in securing the many amendments to the Bill made by the Lords. 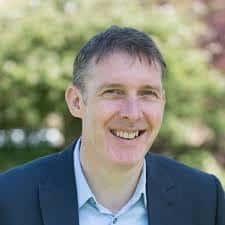 A new position of massive significance in UK higher education means a new entry to the list in Chris Husbands, Vice Chancellor of Sheffield Hallam University and chair of the Teaching Excellence Framework Panel. As Wonkhe extensively covered at the time of the results’ publication, TEF proved to be anything but an exclusively metrics’ driven exercise, with Husbands’ panel exercising a great deal of discretion in determining universities’ outcomes, especially between Silver and Bronze ratings. Husbands has sought to be the mediator between the sector and the government on TEF, recognising that the exercise is an inevitability if the government wills it, but seeking to mitigate some of the sectors’ anxieties about the process. Quite how many phone calls or quiet words at the Athenaeum were sought with him by fellow vice chancellors is unknown, but Husbands’ position gives him great influence over his peers – and their future job prospects. Recent changes to TEF have arguably made the exercise more subjective and less reliant on data, potentially giving Husbands and his panel an even more influential role next year. “Spreadsheet Phil” has maintained his position of influence in Whitehall, despite a high-profile rift with Theresa May and some of the hard Brexiteers. The Chancellor has been supportive of a softer Brexit and a longer period of transition to new arrangements. This has irked many of his Cabinet colleagues, but for now, he looks unmovable. He’s also interested in higher education finance, and there’s every indication that his November Budget will seek to address some of the concerns raised over the summer. Will he cut fees, tinker with repayment, give students more maintenance support? It’s largely down to the Treasury and its boffins to make it all work. We’ll be watching any moves carefully. What a year for the Higher Education Reform Directorate. After steering a detailed and contentious piece of legislation through parliament the hard work has only just begun. The implementation of the Bill, including the establishment of a new sector regulator, is a task that is not to be underestimated – a minority administration and a sclerotic parliament unable to agree on basic procedural matters such as pairing for votes and the establishment of a Delegated Legislation Committee makes things even harder. Payne and Hannant, who job-share as Director of Higher Education Reform in DfE, have these political complications overlaying the existing challenges of delivery. If Sir Anthony’s rise up the power list tells you anything, it’s that there’s mileage in relentless self-promotion (see also: Andrew Adonis). Seldon has been an outspoken and active vice chancellor and has cemented his position as the unofficial leader of the more established end of alternative providers. He has also had success at Buckingham by topping the TEF Gold ratings and bringing Mary Curnock Cook on board as an adviser. Now if only he could get HS2 to stop at Buckingham, he’d likely have even more success putting his university on the map. 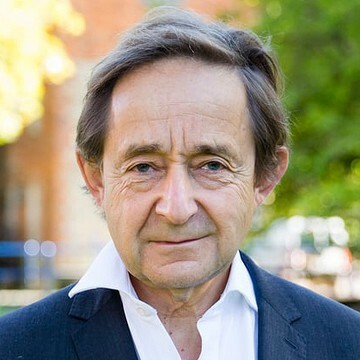 Seldon also exemplifies the rise of independent HE more generally – with the ear of policymakers and the press for what we used to call the “Challenger sector”, we see the passage HERA2017 as confirmation of their central place in HE policymaking. At odds with both the general thrust of the English higher education debate and the jeremiads of the opposition, Williams has forged a Diamond-encrusted path for Welsh student finance. 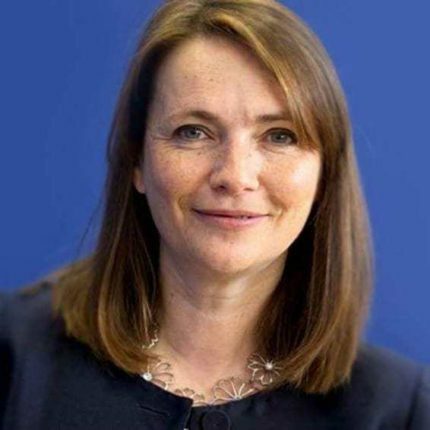 As the sole Liberal Democrat in the Welsh Assembly, she has worked with a Labour minority administration as Education Secretary since 2016, steering through radical changes to higher education policy – most recently consulting on the Hazelkorn recommendations on wider post-compulsory education. A confident and impressive assembly member, her focus on the delivery of a genuinely fair and progressive system has done more to improve the poor sector perception of her party than any amount of Westminster hand-wringing. Now many in English higher education look on with some jealousy: Williams has shown how it’s possible for a government to tackle HE finance without bankrupting universities, giving students a fairer deal in the process. Never the most dynamic or visible of ministers, the lower placing of Clark in this year’s list primarily reflects the lower profile of BEIS in higher education policymaking. But the long gestation of the Industrial Strategy now forms, almost by default, the non-Brexit centerpiece of policymaking in the May administration – and the economic role of universities as engines of prosperity are a key aspect of current thinking. With the expected autumn release of a White Paper – following the consultation early this year – we may well see recommendations to enhance public support available for research and development, and higher level skills provision. In a public policy environment currently turning in an anti-university direction, both the profile and income of institutions would see a boost – and further new entrants to the sector, in the form of the postulated technical institutes in every major town. 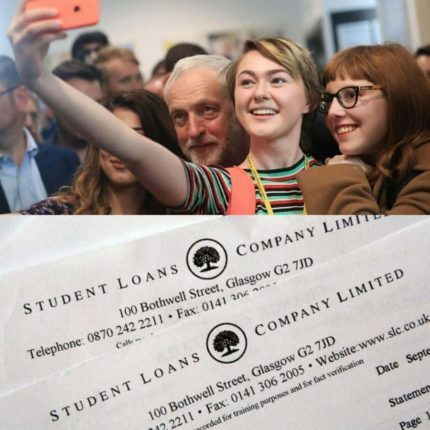 Labour’s better-than-expected showing in the General Election was less to do with its success among current students than with recent graduates in the process of paying off their student loans. This was only the beginning of the clout that indebted millennials might begin to have on higher education policy. Graduates of both the £3,000 and £9,000 fee systems are now entering the labour market and beginning to feel the effects of their monthly loan repayments. If they are not, it may be because higher education has not managed to offer the earnings returns that they might once have expected. Since the election two major policy interventions have only further drawn attention to the power that graduates’ labour market outcomes might have on universities’ political position. Longitudinal Education Outcomes data, or ‘LEO’ for short, enables the public (and the government) to understand how much graduates of different university courses are earning. It’s heading to TEF from next year and might even form the basis of a new tuition fee policy to be announced in the Budget. Meanwhile, an Institute for Fiscal Studies model of the student loans system has found that three-quarters of graduates will not pay their loans back in full. With the consensus on university funding looking shaky, the travails of loan-repaying graduates have never been more important or influential on policy. A key adviser to Jo Johnson at BEIS and DfE, Westlake’s influence can be seen across most of JJ’s policy interventions in science and research. 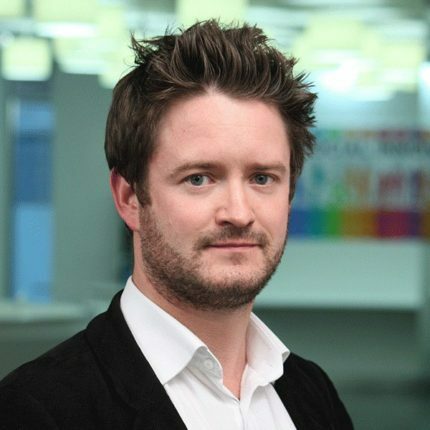 His background is in business innovation, with stints at Nesta and McKinsey alongside authorship of a wide range of research reports. With the ear of the minister, and his hands on the metaphorical tiller of English higher education, we can expect him to play a key behind-the-scenes role over the coming year. It is refreshing and notable that the minister has hired a wonk rather than a party ideologue, as his principal advisor. Westlake is also due to publish a book on innovation in November. 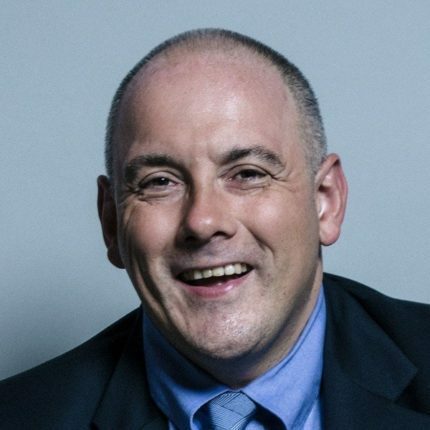 It’s been an odd year for Robert Halfon, who served as Minister for Skills until the General Election, before being mysteriously sacked after the Tories’ electoral setback. 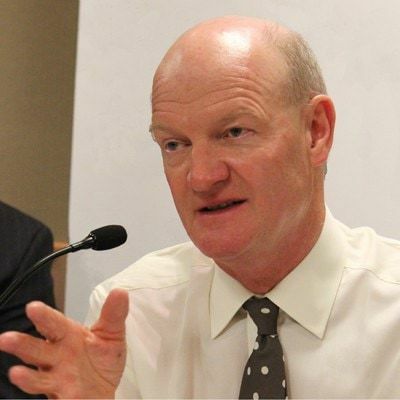 He was subsequently elected as Chair of the Education Select Committee, and will be responsible for scrutinising the work of his former boss Justine Greening, and former ministerial colleague Jo Johnson. His announcement of an enquiry into value for money in higher education is a very interesting first move as chair. The wide ranging enquiry will pull every thread left loose from the summer press – VC pay, the role of the OfS, the use of graduate data and the TEF, in a combination that will delight wonks as much as it frustrates those content with the post-HERA status quo. With select committees expected to have a much stronger role alongside a minority government, this is an auspicious start. Halfon is known to have a wonkish enthusiasm for education policy, particularly skills and apprenticeships, for which he was responsible as a minister. He is a passionate advocate of apprenticeships and has employed several of his own in Parliament. Unlike his Blair years education policy colleague Michael Barber, Andrew Adonis sits outside the higher education power structures. But an unexpected – and at times unorthodox – series of public interventions in debates around fee levels and institutional spending catapult him into the list by sheer omnipresence. Regularly cited as the architect of fees, Adonis has turned his back on the arguments he so successfully deployed during the days of the 2004 Higher Education Act. Citing the “venality and greed” of vice chancellors, he now advocates for the dismantling of the “Frankenstein’s monster” that he feels his funding model has become. Our modern Prometheus has clearly come a long way since his days as a Labour activist in Jeremy Corbyn’s Islington. But the eagle that surely pecks at his liver is the realisation that his gift of fire to the higher education policy debate has yet to achieve much genuine change against an increasingly strident and political defence, or seen much take-up amongst his own former caucuses in London Labour – who are now attempting to manage the unravelling of parts of their own HE election promises. N.B. This award is provisional as it is based on only a short period of activity – a full year of data is needed for this placing to be confirmed. To stay on the list or rise up would necessitate his working with rather than against the existing and planned regulatory structures. Very few people on this list get an instant invitation to the Today programme, and can place articles in any newspaper by just picking up the phone. But with the role of vice chancellor at Oxford comes the opportunity (and burden) to represent the apotheosis of academia in the mind of the general public. An abrasive style, and tendency to speak from the gut, has not endeared her much to staff – and recent ill-judged interventions in the VC pay debate have yielded some sharp intakes of breath. But you don’t get to be VC at Oxford without a great deal of resilience – so we only expect to see more of Richardson on the scene in the coming months. The vice chancellor of Reading David Bell remains high on the list largely thanks to his role as UUK vice president. Along with CEO Alistair Jarvis and President Janet Beer the three form a triumvirate of influence in the sector. The publication of last year’s Bell Review of sector agencies will see his recommendations largely taken forward by Nigel Carrington, but it is Bell’s stamp on his eponymous reorganisation of the sector that will likely be remembered. Meanwhile, expect the former senior civil servant turned vice chancellor to have increasing amounts of fingers in proverbial policy pies. DfE had long wanted control over higher education policy, and it was with Greening’s ascendency in 2016 that this became a reality. 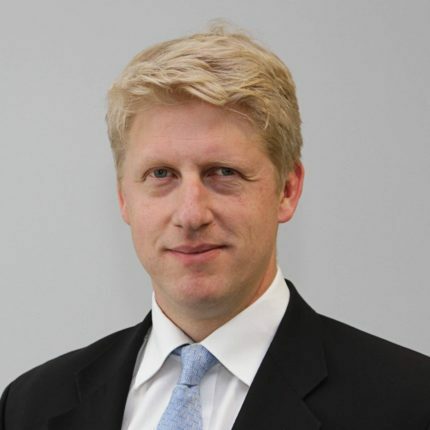 Since then we have seen the 2017 Act pass into law, an achievement that owes as much to Greening’s focus and political nous as it does to Jo Johnson’s tenacity and commitment. She’s the first openly LGBT woman to serve as a cabinet minister, the first Education Secretary to have been to a comprehensive school, and one of a very few members of the current cabinet that can be described (even loosely) as an ally to Theresa May. 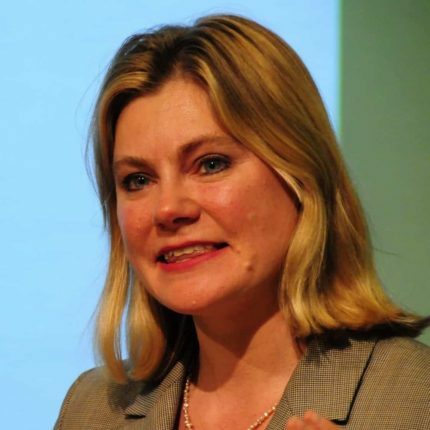 Her pre-summer announcement of an additional £1.2bn for mainstream schools – although not “new money” as suggested – was the only major government policy announcement since the 2017 election, other than the welcome announcement by the Equalities Minister (one J. Greening) of a streamlined transitional experience for transgendered individuals. Greening, it seems, is keen to make an impact – perhaps there are other government roles in her future that could allow her to make more. 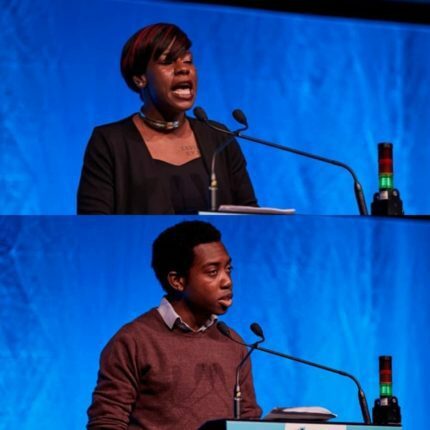 After a year in the relative distance from the traditional sector under the more radical leadership of Malia Bouattia, a moderate-backed slate led by new President Shakira Martin was elected at NUS National Conference in 2017. The eclectic and lively Martin, formerly NUS Vice President for Further Education, is only the second NUS President to have attended a further education college instead of university. She has lived a truly inspiring story of the power of education to break a background of hardship and poverty in south-east London. She will be an effective and media-friendly spokesperson for NUS, but her policy focus will mainly be directed towards her passion for FE. Thus she is accompanied on our list by the softly spoken and calculatingly intelligent Amatey Doku, the new Vice President for Higher Education and former President of Cambridge University Students’ Union. Doku will lead NUS’s policy engagement with sector and has declared his willingness to thoroughly engage with vice chancellors. But with tuition fees firmly back on the national political agenda, NUS’s influence could be wider this year than it has been for some years. Both Martin and Doku will become familiar faces to many working in the sector. 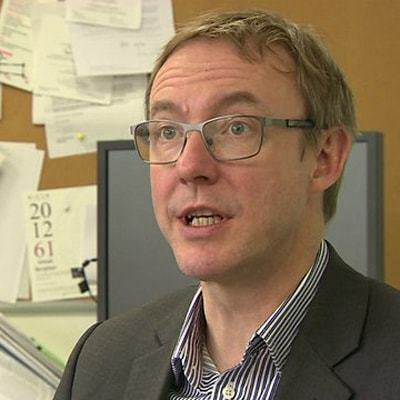 Sir Steve Smith has, since 2002, been vice chancellor of the University of Exeter. Were he to continue to hold the role for a further 15 years, we would not be in the least surprised. With stints as president of Universities UK and the 1994 group under his belt, he has very little more to prove. He is also a close friend of Michael Barber, who formerly sat on Exeter’s board. His institution holds a Gold TEF award and sees continued research success, a genuine success story with Smith’s leadership a key thread. 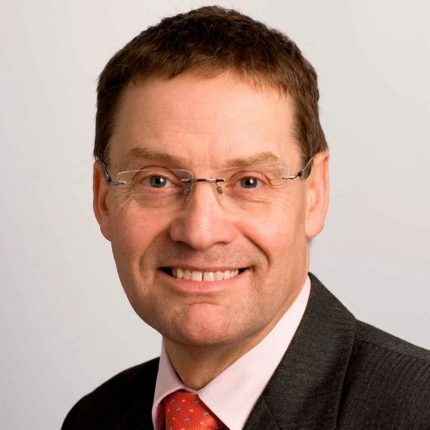 The chief executive of the yet-to-be-named mega agency following the Bell review, Johns had a hand – while at HEFCE – in creating two of the three organisations that will make up the new body. The Equality Challenge Unit, and the Leadership Foundation – which she later led, are likely to well under her leadership. How these fit together with the Higher Education Academy are important details that Johns will need to iron out A past president of the AUA, she is a career sector administrator with a substantial national and international profile. Sector agencies are often overlooked, but have a powerful role to play in the smooth running and continued high standards of UK higher education. TV’s “Money Saving Expert” entered the higher education arena as a front person for the benefits of the post-Browne fees model as a member of the Student Finance Task Force. But the government’s continued refusal to raise the repayment threshold awakened the crusading consumer rights journalist within, and his trenchant criticism of this decision escalated to include talk of a legal challenge in 2015. Though this never came to fruition, Lewis has kept the pressure on this and related issues – becoming a key voice in student finance debates and the first port of call for students and others seeking clarity regarding an increasingly byzantine system. A runaway success story in the TEF, and very much setting the pace amongst peers for innovation, research and recruitment, the University of Lincoln is a hugely successful modern university. 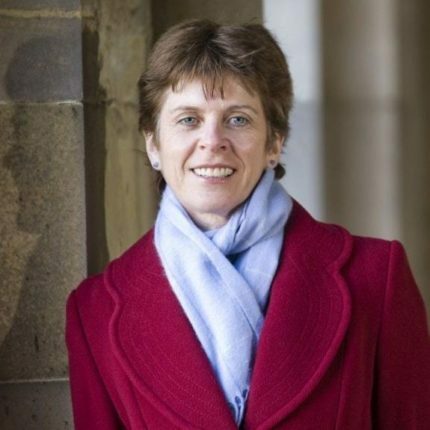 Mary Stuart is a great example of the new breed of modern vice chancellor, a published thinker on higher education issues in her own right, and a prominent voice in sector policy debates. She sits on the HEFCE Board, the HEFCE Student Experience committee, and is Vice Chair of the ECU. 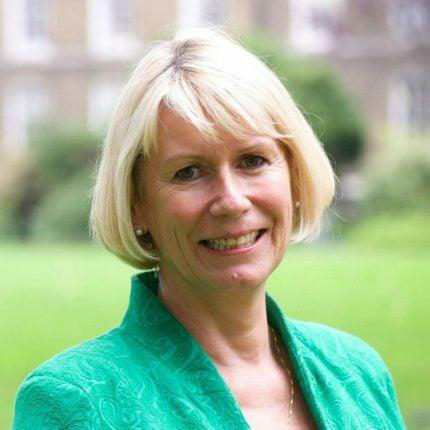 Recently recognised in the New Year’s Honours with a CBE for her services to higher education, Janice Kay is Provost and Senior Deputy Vice-Chancellor at the University of Exeter. 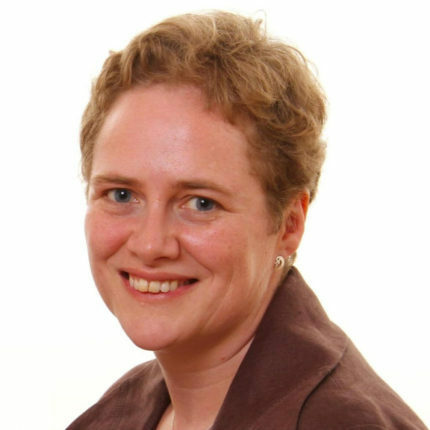 However, she features in this year’s power list for her role and influence in the controversial Teaching Excellence Framework. She was an academic member and deputy chair on the TEF panel for TEF year 2 and has been appointed Chair of the Subject level TEF pilots. 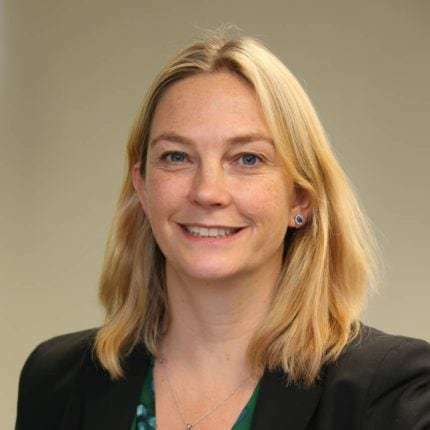 She will remain involved in TEF 3 alongside her new commitment to the subject level pilots, making her likely to be the only assessor or panellist involved in both processes. A lynchpin between the two processes, her role will be fundamental to ensuring the combination of institutional and subject level TEF doesn’t become a bureaucratic nightmare for the sector. Running a representative body can be a challenge, particularly when subscription fees are attracting controversy, post-Bell. But GuildHE has bucked the trend with a raft of new members recently joining. There has also been significant success for members as many did well in TEF, benefiting from generous treatment of specialist arts institutions. 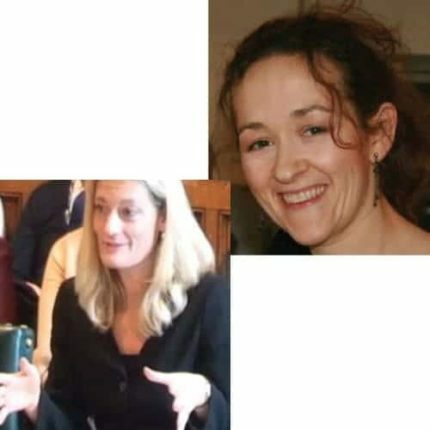 While it’s difficult to draw a causal link to the work of GuildHE, the body has been vocal about the key issues and it’s likely that those messages penetrated in the right places. 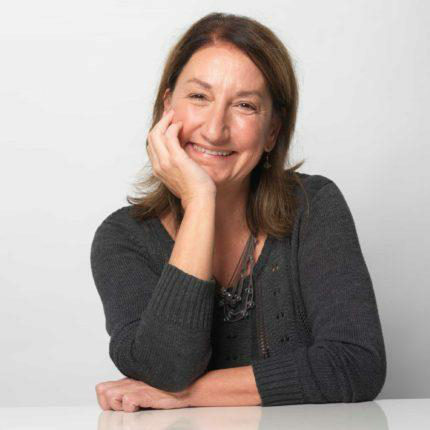 McKenzie’s personal charm and experience in Whitehall mean that GuildHE is in safe hands. HEPI continues to transition from a data-led policy analysis unit with very close ties to HEFCE to a more politically-aligned think tank. Always interesting and occasionally provocative, it is a rare wonk that doesn’t have a slim blue (or occasionally yellow) pamphlet from HEPI on their desk or bookshelves. Increasingly, these are supplemented by shorter – more opinion-based – articles, published on the HEPI blog in the early hours of Wednesday morning. 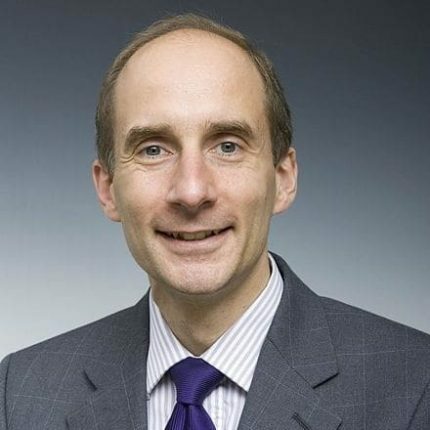 Hillman himself rose to prominence as an advisor to David Willetts and was formerly a prospective parliamentary candidate in Cambridge for the Conservatives. Only elected to Parliament in 2015, Angela Rayner was hastily appointed to the shadow education brief in the wake of the mass parliamentary revolt against Jeremy Corbyn last July. Yet Rayner is not the usual tribal leftist. 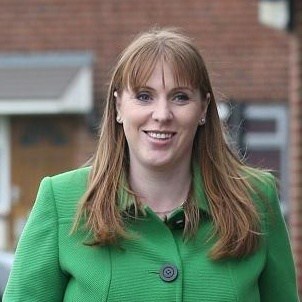 She has praised the impact of the Blair governments and is known to be liked by Labour MPs on all wings of the party. This, combined with her unashamed working-class roots and impressive performances in the shadow education brief has led to Rayner being tipped as a possible successor to Corbyn. That may be some time off, but there is every chance Rayner could find herself as Secretary of State in the next few years, with responsibility for implementing a free tuition policy. Yet Rayner’s main passion is not universities (she did not go to university herself) but instead FE and early years education and she has expressed frustration at how HE dominates the debate at the expense of other parts of education. Rayner is someone who anyone with a long-term interest in influencing education policy should be seeking to get the ear of. If we ran a lobbying Power List, the work of Alex Proudfoot’s Independent Higher Education would see him very near the top. The extent to which the emerging regulatory architecture of higher education is shaped around the needs of a particular model of “alternative provider”, coupled with the fact that this has been achieved in such a short space of time, suggests that Proudfoot and others have been successful in making the case for private and not-for-profit higher education. However, there is still work to do. 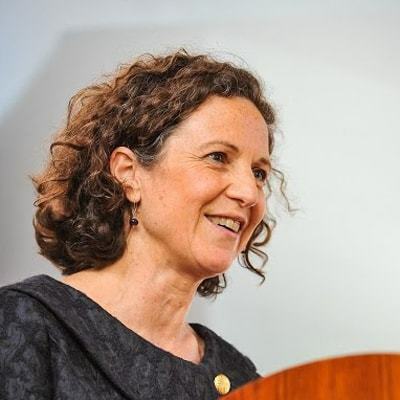 The appointment of an experienced advocate for traditional universities – Nicola Dandridge – to the OfS Chief Executive role was not universally welcomed by IHE members. Concessions required to pilot HERA through an unexpected pre-election parliamentary wash-up period have constricted the route to university status and degree awarding powers. And the overriding public perception of independent HE as being of necessarily lower quality will require far more than the ear of key policymakers. In 2016 QAA appeared to be in a bad place. Reapplying for their role at the heart of the sector’s quality assurance, looking at substantial cuts to their operating budget and staffing, and asked to take on significant new roles as a result of regulatory changes – all against a background of uncertainty, with less than enthusiastic support from their key funders. A year on and things look very much brighter in Gloucester – the agency survived the regulatory cull, and look set to become the “designated body” named and granted significant power in the Higher Education and Research Act. 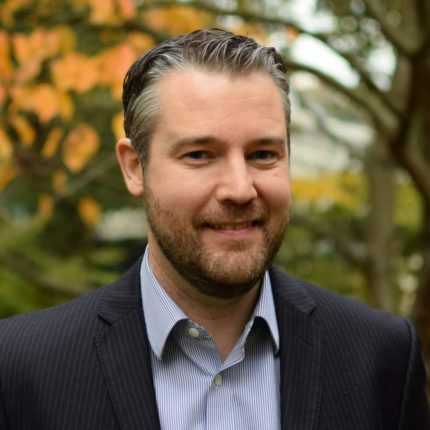 Throughout this period, Douglas Blackstock has acted as a visible public voice for the agency adding to the weight that QAA carries in the rarefied reaches of policymaking. University Alliance has interesting opportunities as its institutions take advantage of Industrial Strategy, regional devolution and the emphasis on technical education through apprenticeships. 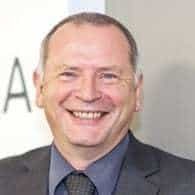 The mission group’s chief executive, a former civil servant, is well-placed to help shape this agenda and support collaboration between members in an increasingly fragmented sector. Ansell and her team are managing to walk the line of constructive pragmatism, difficult when members have divergent interests. A report from the IFS makes everyone, from the Chancellor of the Exchequer down, sit up and listen. Paul Johnson has, in recent years, hugely increased the profile of this satisfyingly wonky organisation, with an analysis by the IFS providing the detailed scrutiny of policy proposals – at least, in terms of the expected cost – that is often desperately needed. In higher education the IFS have made a lot of the running regarding the underpinnings of the fashionable case for reform. 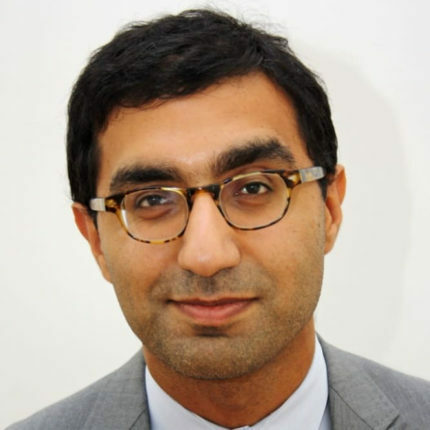 Now director of Social Mobility Strategy at DfE, Emran Mian is something of a polymath – he is also a published author (“The Banker’s Daughter” comes recommended) and contributor to Prospect. In his day job he was once secretary to the Browne Review. Very much In the shadows this year, Mian is one of the intellectual leading lights behind Greening and Johnson, with an unparalleled understanding of social mobility issues. Well connected from his Social Market Foundation days, and a consummate civil servant, we suggested last year that he must have at least one clone in order to keep up such a huge workload. On reflection, we would put this number nearer six. After a significant period of torpor, HE in Scotland appears to be becoming active again. Unfortunately, as soon as Shirley Anne Somerville began to get grips with the thorny issue of student support, her promotion (and the subsequent issue with her successor) meant a summer without ministers – new boy Richard Lochhead has a lot to pick up and quickly. All this explains why we have a freelance writer on the Power List rather than a minister representing Scottish HE – it can sometimes feel like she’s the only one keeping the show on the road. And though we are glad to work with our 2017 Wonk of the Year, her placement puts the rest of the Scottish sector on notice – we need more people like Hunter Blackburn. We didn’t even need the interminable Parliamentary debates on the methodological validity of TEF to know that, in modern higher education, data is everything. Most importantly, data is also political – how it is collected, how it is arranged, how it is analysed, benchmarked, and publicised. This leaves Paul Clark and the Higher Education Statistics Agency in a place of growing influence. When the experimental LEO data was released by DfE last December, Clark was the only person outside of the department on the pre-release list. The past year has seen HESA flexing its data muscles in many ways: designing a new graduate outcomes survey, releasing new data on alternative providers, providing the benchmarking methods for TEF, releasing a new website and app, and overseeing a new method of subject coding. And with the news media increasingly interested in and utilising the rich array of data available about universities, HESA’s role in curating and publishing universities’ information is only growing in importance. 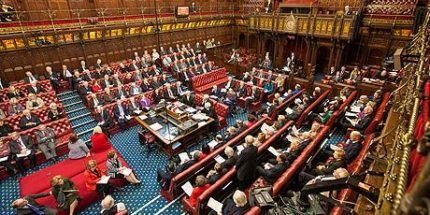 The Higher Education and Research Act’s passage through the House of Lords proved that the university sector – and in particular the most ancient institutions – still hold a strong influence in the upper house and at the heart of the British establishment. 2017 was the year in which that influence could be brought most to bear, with the Lords passing numerous ‘wrecking amendments’ that subsequently secured concessions from the government. The new legislative basis for universities has been profoundly influenced by a small group of active and well connected peers, including Viscount Younger (government spokesman), Lord Stevenson (Labour spokesman), the Duke of Wellington (serial Conservative rebel), Lord Billimoria and Lord Hannay (champions for international students), Lord Lipsey (TEF metrics’ critic), Baroness Garden (Liberal Democrats), Lord Kerslake, Baroness Deech, Baroness Brown, Lord Norton and others. Shortly after any major policy announcement or statistical release comes the eminently quotable response from UCU. Sally Hunt has spearheaded the transformation of the union into a significant and respected force in policy analysis, and has consistently campaigned on a range of issues from senior staff pay to the plight of sessional academics. On the relatively moderate wing of trade union activism, she faces continued challenges from members around pay and pensions – but has arguably secured the position of sector staff by limiting the impact of austerity. The forthcoming industrial strategy offers opportunities and challenges for staff terms and conditions, a looming Brexit will do likewise. UCU will need all the influence it can muster over the forthcoming year – Hunt taking on the role of TUC president looks like a good start.